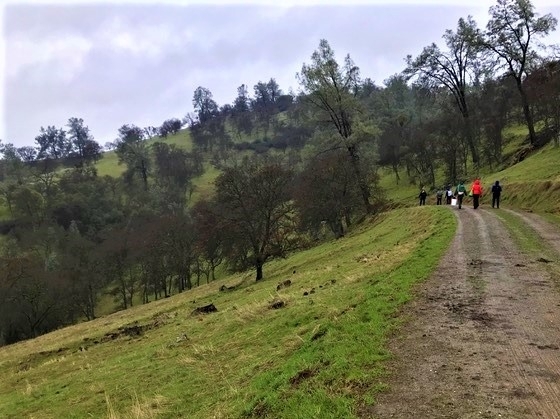 “I always run this class trip in February and usually the view of Deer Creek across the canyon is stunning. In the final section before it convenes with the Yuba River, Deer Creek plunges an amazing 400 feet vertical per mile. With a flow of a couple hundred cfs that we typically see in February, it's just a stunning view. I once tried to hike down into that section from Mooney Flat Road, but the bedrock is very smooth and the waterfalls too extreme, even when dry. It's a postcard-worthy view for sure. 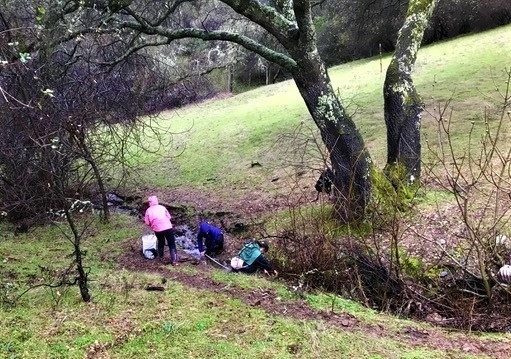 UC Davis Hydrology students work as a team to collect data here at SFREC. 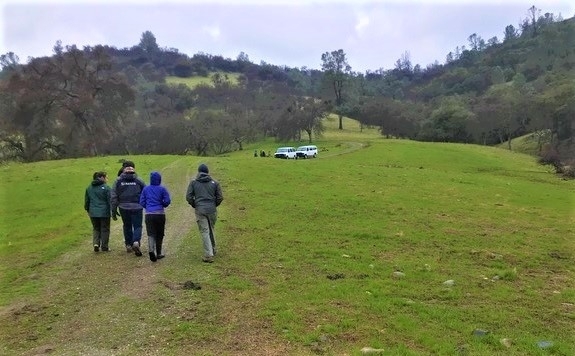 UC Davis Hydrology walking trails along rolling oak hillsides of SFREC, headed toward their next data collection site. The Schubert catchment is small yet still quite adventurous to university students. Some students come from urban regions with little outdoor experience, while others are avid outdoor adventurers yet have little practical experience with doing science in nature. The goal of experiential learning is to put students into new situations with one-on-one experiences with nature where they have to use their knowledge and experience to problem solve. Not only are students learning science, but they are learning how to work together in a team, and even how to dress effectively to do safe outdoor research. People might be surprised to hear that part of the course involves teaching about clothing, but the technology of textiles for outdoor work has improved so much and students have little exposure to thinking about safety from a clothing perspective. 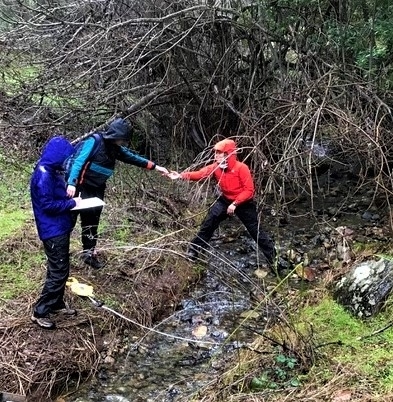 UC Davis Hydrology students work together and learn the importance of outdoor clothing selection while collecting data. UC Davis Hydrology students say a final farewell to SFREC as they head back to the vans.